One, I’ll be going to Nashville with Fr. Thomas Rosica this coming Friday, January 9th, to see the Dominican Sisters of St. Cecilia (the Nashville Dominicans) once again. It will be my second visit to Nashville and this time I won’t be filming! I will simply go to enjoy their presence and be with our Lord in their Motherhouse. Fr. 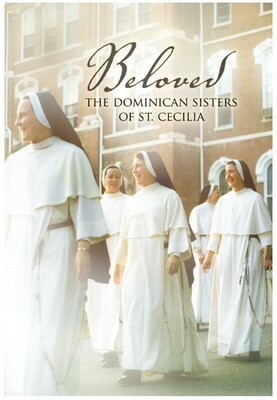 Tom and I are going there to premiere the film Beloved: The Dominican Sisters of St. Cecilia with all of the sisters there, so it should be an exciting weekend. Two, the excitement can be shared by you this weekend as well! On Sunday, January 11th, Salt + Light will premiere Beloved at 9 pm ET. If you don’t have access to Salt + Light, watch it on-line! Simply go to our website's main page, click on View Live at the top left corner, and watch it live with us! I’d love to hear your thoughts on it. And don’t forget, you can purchase DVD copies by phone or visiting the S+L Boutique.